12:27 PMFuture Baseball Hall of Famer Derek Jeter and President Barack Obama are boys. Not necessarily super tight, but they talk trash on the golf course and dap each other up when they’re both at the same baseball game in Cuba. You know, the usual. On Wednesday, The Players’ Tribune (which Jeter founded) released an interview with the commander in chief and the New York Yankees legend in which — from the Roosevelt Room of the White House — the two recently talked about their lives, their initiatives and what’s next for each of them. At one point, they discussed what they would have told their younger selves, at 15 and 25 years old. The exchange was funny. Earlier in the talk, the four-time World Series champion described how his dad had an old collection of clippings that made him want to be a better ballplayer than his father. Jeter: I did something my final season, I kept a little diary. Every day I wrote something in there. How I was feeling after every game. I don’t know if too many people know about it. I’ve yet to look back at it. The idea was, I don’t have children, and I thought if and when I had kids. Obama: Dad actually had some game? Jeter: Things … would have worked out a lot better for you? Obama: You know I might have made something of myself, doggone it. Fifteen years old I would have said work harder, get more serious. … At 25, my advice would have been to lighten up. Perhaps the most interesting thing about this is exactly how comfortable Jeter was in that room and that setting. And the measured replies, along with the light sprinkling of humor and self-reflection, made his demeanor seem, dare I say, presidential. Far less popular athletes have made it in the field of politics. Maybe Jeter will be the next to do so. 4:55 PMIt’s been a strange couple of days for Swaggy P. First, the NBA guard tried to pull a news dump on the world by tweeting right before Game 7 of the NBA Finals that he was single again, after a rather tumultuous relationship with Australian rapper Iggy Azalea ended. We really wanted this one to work, but it’s concluded with such a fireball that it’s probably better that these two never see each other again. Now, even Foot Locker is getting in on the fun, all with the help of D’Angelo Russell, Young’s Los Angeles Lakers teammate, who is half the reason Young’s relationship spiraled out of control to begin with. If you don’t recall, it was the 20-year-old Russell who videotaped Young talking about his dalliances with women who were not his fiancee, then posted it on the internet, then said he didn’t do it (? ), then admitted it, apologized and the Lakers’ season crash-landed into the Pacific Ocean as it was destined to do the second Kobe Bryant decided to return for one more year before retiring at the end of this past season. After that moronic incident, the marriage plans were put on hold. Russell was widely chided as being incredibly immature, but that insane game Bryant had to close his career sort of made us forget that Young’s life was in shambles. Now, shoe stores are out here clowning him in ads, and that’s just the beginning. As it turns out, Azalea is not here for the nonsense. She put his stuff out in the street and had his car towed, which is relatively low on the “things your ex can do to put you on blast” list. If you’re wondering, the No. 1 seed in that group is what we call going “full Left Eye” and burning down your man’s house. Lower on the list is Angela Bassett’s treatment from Waiting To Exhale, putting all your man’s stuff out and torching it. Honorable mention goes to Elin Woods, who went upside golfer Tiger Woods’ Escalade with a golf club. Anyway, it appears that Young has escaped relatively unscathed from his side-chick shenanigans. Yet, instead of playing it cool, he’s found himself in cahoots with the biggest savage around the NBA not named Derek Fisher: GILBERT ARENAS. Of course, these two know each other from their days as knucklehead teammates with the Washington Wizards. This will not end well. Fam, seriously. This picture just looks like instant, ratchet goonery. Half that caption is redacted because this, on some levels, is still a family site. Let’s just say it involved describing in detail what (and whom) the two would be socializing with (to put lightly) in the immediate future. That post was followed up with another video of Young playing a guitar in a store, with a caption that, of course, insults Azalea. Arenas has been about this life for some time, so it’s nothing particularly surprising, but if you’re in Young’s squad right now, you need to get your boy. Or join him. 4:10 PMBlack Twitter is so many things to so many people. For many, it’s a window into our culture. For some, it’s a source of education and entertainment, and for others, it’s where all civility goes to die. But on Monday, the site Blavity teamed up with a new dating site called One App, which targets black millennials, and the result is perfect. Titled “If Black Twitter Went On A Date With You,” it tells the story of a first date that starts off a tad awkwardly, but ends well. In it, the actions of both are peppered with various comments from around the Twittersphere, expertly balancing all the discussions we have about dating and inserting a lovely level of emotion and fun that make up those first-night jitters. It’s a genuinely touching story, even if you know, #brands. 2:36 PMHey y’all, sorry for the late post today, but we’re here. We taped another podcast this morning, and as a bonus, you can watch Justin Tinsley and I discuss what I think was the best defensive play in the history of the NBA Finals. Whether it’s an elementary school classroom or a popular nightclub, Congress doesn’t care. You will not be keeping people from their guns, no matter what. The gun lobby is so pervasive, so influential and so large that our elected officials apparently live in fear of getting on their wrong side. More than one bill designed to prevent people on terror watch lists from being able to get firearms with such ease, in fact, failed. Think about that. We sit around and pray when people get shot to death, but refuse to take responsibility to remove the guns. Needless to say, President Barack Obama is not happy about it. It appears that not all is hunky-dory with the NYPD. A federal investigation has turned up details of the force’s top brass and someone linked to Mayor Bill DeBlasio, who were allegedly taking big-time gifts from citizens in return for protection and favors. In short, having a police officer on your personal payroll does not come at a small price, but definitely has its benefits. And when you see the words: flights, hotel rooms, prostitutes, expensive meals and home improvement in a court document, you have a problem. ABC News’ Michael Edison Hayden reports. Gabrielle Union and Dwyane Wade are one of our favorite celebrity couples. They’ve had their ups and downs, but the actress is still very much here to ride for her man, no matter what. She’s out in these streets showing love, and we all see it and appreciate it. Wade, a longtime player for the Miami Heat, is on the cover of the next ESPN The Magazine’s Body Issue and his relationship with Union is no small part of why he did it. He calls her his best friend; it’s really kind of adorable and rather admirable to see a man so willing and able to talk about love. ABC’s Michael Rothman has the details. In all of the LeBron James haze, there’s the question of Stephen Curry. People, including me, were calling Curry the best player on the planet. There was talk of him revolutionizing the entire league and many were ready to hand over everything in the NBA to him. Then, the NBA Finals happens. Curry didn’t exactly have a great series, even as the MVP of the league, and Legacy Twitter has been roasting him ever since. Dudes were even out here disrespecting his dad, Dell, which is very extra. FiveThirtyEight’s Benjamin Morris wonders: Is the Curry revolution already over? Coffee Break: If you like Girl Scout Cookies, there is good news. If you don’t like them, I have no idea what’s wrong with you. Pillsbury just unveiled baking mixes that feature all your favorite flavors, allowing you to put all the best stuff in your cookies and brownies. This is huge news for a certain segment of the population. Snack Time: Oh, you didn’t want to see a video of comedian/actor Kevin Hart rapping the lyrics to Desiigner’s Panda while using his panda voice from the movie The Secret Life of Pets? Too bad, because it actually happened on British radio. Dessert: If you’re an aspiring movie director of color, click here. Could be helpful. 8:00 AMAs is the case with every international soccer tournament, hair is a big part of things when it comes to how players present themselves. We’ve got some usual suspects in the 2016 UEFA European Football Championship, with a couple new twists as well. Let’s take a look at some of our favorites. The man who’s made perhaps the best play of the tournament so far with his incredible clear off the line in Germany’s opening match against Ukraine, also happens to have a very smooth ‘do. In what I can only describe as a “conk fade,” he’s thrown in a couple racing stripes that give it a flair beyond the obvious. This is German efficiency and style at its best. He scored a thrilling goal as a sub to help England secure its first-ever win in the Euros after being down at half last Thursday, but his hair has been the subject of discussion for some time. Over the years, the Liverpool man has effective kept the curly flattop, while occasionally adding a few flourishes that felt like tributes to Michael Jackson, with the slightest touch of Jheri curl on them. 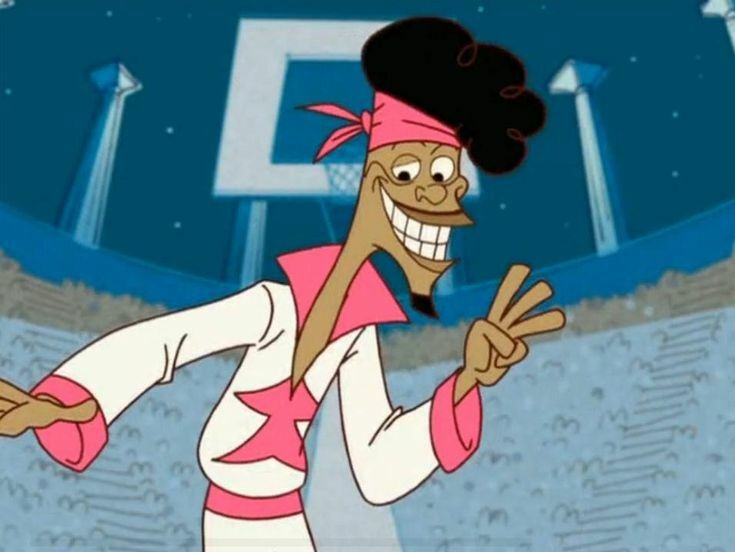 It’s all forgiven though, because his dance is the best in the game. 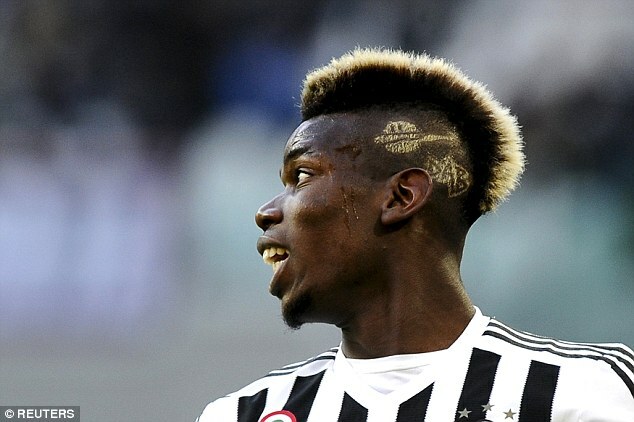 Pogba is a legend in the on-field hair game, no questions asked. He’s gone with the gold-striped mohawk with side lettering, the leopard-print motif and the full peacock — he’s got it all in his arsenal. What’s he’s got for this tournament is relatively tame, all styles considered, but it still features his patented gold, along with his name on the other side, a nice touch. And by the way, as he told ESPN The Magazine, he wants to be the best ever, not just one of. 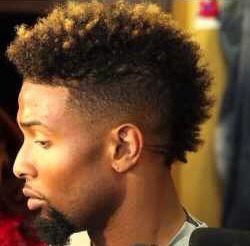 The blond, faux-hawk fade certainly isn’t a style unique to American culture by way of NFL wide receiver Odell Beckham Jr. In fact, though he receives all the credit, Beckham didn’t even start the trend — but, that’s a different story. Origi has given the look a European stamp of approval with his own blond hue blended into a naturally curly mohawk (Origi has also rocked the perm in the past). Shoutout to him for telling his barber “close on the sides” to maintain the tight fade. Eder (R) of Portugal looks on prior to the FIFA 2014 World Cup Qualifier match between Portugal and Luxembourg at Estadio Cidade de Coimbra on October 15, 2013 in Coimbra, Portugal. 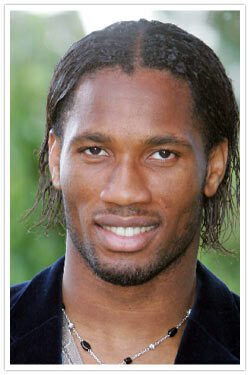 What’s so admirable about European soccer is that crazy styles of braids are still socially acceptable. Nowadays, you rarely see NFL players rock braids and, except for San Antonio Spur Kawhi Leonard, the NBA is no longer a home for braids, which Allen Iverson popularized in the league in the early 2000s. You can find, however, countless players like Portugal’s Éder on the pitch with braids flapping in the wind. The best part? The tire-tread designs that probably took hours to finesse. 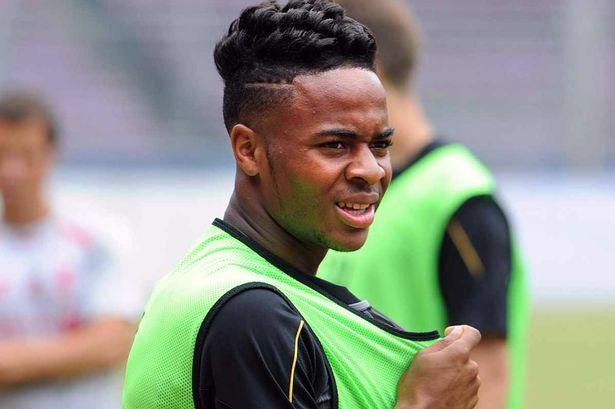 Sterling’s hairdo at this year’s Euros — a high fade, grown out on the top with a side part — is pretty basic, and maybe even the least interesting on this list. But his hairstyle history? A buffet of beauty. 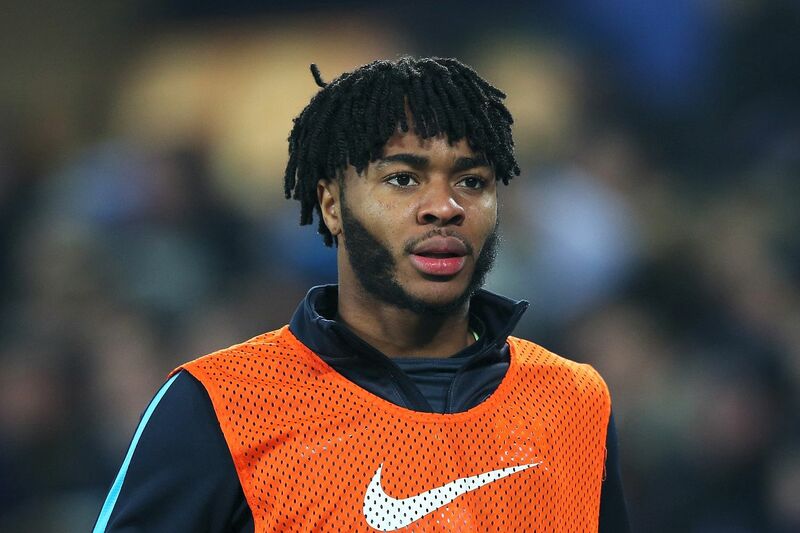 Sterling has sported the dreads fade, the twists (word to Whoopi Goldberg) and, our personal favorite, the perm fade with the side part (word to Uncle Bobby). Keep doing your thing, Raheem. No “Make Soccer Fun Again” movement needed with that hair. Born in Vienna, Austria, Alaba is the son of a Nigerian prince, who is also a rapper and DJ. Alaba, Austria’s best player, also has the team’s best hair, rocking an Odell Beckham-esque, blond-tipped faux hawk. I can guarantee Alaba does not have hands like Beckham, but he looks good in the “Blonded Like Beckham” look. Lastly, let’s pay homage to the G.O.A.T. of European soccer hair: former Portuguese player, and current Mozambique national team coach, Abel Xavier. 2:24 PMWhen the horn finally sounded, the celebration in Cleveland was on full tilt. My buddy in Cleveland sent me a video of an entire bar just deciding to sing the national anthem after the the Cavaliers beat the Golden State Warriors, 93-89, on Sunday to win the NBA title. And of course, the memes following the win have been spectacular. Here are some of our favorites. Most of them involve J.R. Smith, because well, he’s J.R. Smith. You have to wonder at what point the shirt was ever on, after the initial removal. The idea of Smith walking around half-naked with a bottle of bubbly the instant he left his tremendous press conference is not hard to imagine. Alas, he didn’t, but we wish he did. Speaking of which, let’s take this moment to remember when Smith was playing in China and quite literally breaking dudes’ ankles. As for the gawd James, he started his expert-level trolling early. On the plane, he was rocking a hat that featured Kermit the Frog sipping tea. After that, he graduated to the second level. This T-shirt is amazing. Not to be outdone, of course, was Nike, which dropped this extremely poignant commercial that perfectly captures the emotion of what it was like Sunday night. Good for Cleveland. Space Jam 2 is about to be lit. 10:07 AMThere was a basketball game Sunday night, apparently, but it was also Father’s Day. So, for that reason you should read this story about a father and son, both of whom are in journalism. And that’s putting it *very* lightly. If you didn’t already know, the president and first family were on vacation last week. They went to Yosemite, as part of their tour around a couple national parks, which sounds and looked quite fun. Sidebar: I’ve never been to New Mexico. My mom loves it. I met a guy from Sante Fe a couple weeks ago and he had quite the worldview. Anyways, the first lady and crew were on their way back from the trip when a little thing called the NBA Finals got in the way. Obama is as Obama does, and they smooth stayed on Air Force One to watch the end of the game. Bawse. Before Game 6, there were a lot of people who were in the Currys’ corner. Count me in. They were so fun! Living in Walnut Creek, California, cooking shows, ridiculous 3-pointers, who wouldn’t want to be them? It was like the NBA version of the aforementioned Obamas. Then, things got weird. Stephen Curry threw a mouthpiece. Ayesha Curry started hilariously roasting people on Twitter. It was like they showed what life was like when the cameras were off, and suddenly the “Calaviers” as my brother calls them, were way more likeable. Pablo Torre explains “the NBA is rigged” conspiracy theorists. Let’s talk about something real quick: LeBron James notched a triple-double Sunday night. It was Game 7, on the road, and the man had one of the most quietly tremendous lines in the box score we’ve ever seen. Let’s also be clear about something else: If he’d managed to connect on that dunk attempt at the end of the game, it would have been the greatest play in the history of the NBA Finals. (BUT THAT BLOCK THOUGH!) Alas, he just sunk a free throw instead, to seal it. I mean, really. The lead-up to this game was nuts and the actual product was bananas. Kevin Arnovitz reports. Don’t forget Kyrie Irving. The man who sparked this incredible comeback from down 3-1 in the series, had a couple of monster buckets himself Sunday night. Yes, King James had 41 the same night he did. Yes, King James had 41 the next game, too. But the fact that Irving went into takeover mode in Game 5 was as critical to the Cavs winning this series as anything else. And Sunday, he capped it off by draining a triple in Stephen Curry’s face, which was stone-cold vicious. Late in the shot clock, too? Uncle Drew came to play, kiddos. Now he’s got a ring to prove it. Coffee Break: I love J.R. Smith, always have and always will. His DM slides and club-going ways aside, it always felt like he genuinely loved playing basketball. On Sunday, after his team won the title, he had a full-blown breakdown at the podium. It was a really intense moment. Also, his dad is named Earl and so is mine, so, yeah. Tears. Snack Time: Kevin Love was the first person that James embraced when the buzzer sounded Sunday night, which was perfect for so many reasons. That aside, when the celebration was on, the beach boy went full WWE, as you do. Dessert: Tyronn Lue. Tyronn Lue. Tyrone Lue … TYRONN LUE. 7:00 AMLast week, I visited Italy for a wedding. For a week, I was in Rome doing what I do, which is looking at as much local art as possible. And sure, there’s gallery life, but that’s way less fun than just walking around. So, here’s some of the stuff I was lucky enough to find on the trip. Hope you like it. These were from the neighborhood of Trastevere, where we stayed. Now, this next set might look familiar to you. If you can picture a silver Aston Martin speeding down this stretch at night, then you’ll remember it from the James Bond film Spectre that came out in 2015. The chase scene actually happened at night, which allowed city officials to feel better about how they were presenting their city. Apparently, there was a large concern that the cleanliness of the streets, or lack thereof, would reflect poorly on Rome if not properly cleaned up (or digitally removed). Anyways, what you get is a great stretch of art that only Rome could provide. These next two were actually just outside of a monastery. There are some things you don’t tag. That’s one of them. Here’s one from Assisi, an extremely religious town. Literal street art, and an interesting back story. The artist here basically painted the same thing every day, touching up the work as needed. Then, on Sunday, he’d add another. And that was it. Very cool. Lastly, back in Rome, this guy was my dude.